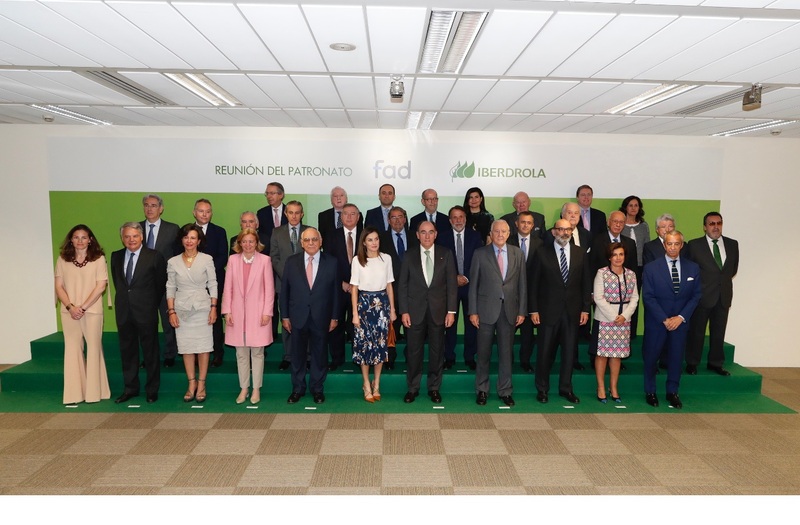 Today Queen Letizia of Spain attended the board meeting of the Foundation for Help against Drug Addiction at the Headquarters of Iberdrola in Madrid. Her Majesty the Queen is the honorary President of this foundation since 2015. Before Letizia her Mother-in-law Queen Sofia was the President of the foundation. The Foundation for Assistance against Drug Addiction is a private, non-profit, non-denominational institution independent of all political affiliations, of a charitable-assistance nature, and endowed with consultative status with category II before the Economic and Social Council of the United Nations. . The FAD has as its fundamental mission of prevention of drug consumption and other risky behaviors that prevent or hinder the personal and social development of adolescents. Founded in 1986 on the initiative of Manuel Gutiérrez Mellado – president of the institution until his death in 1995 – with the support of companies, institutions and professionals, the FAD develops its activities in collaboration with other civil society organizations that understand that the problems of drugs require a solidary response, which must be articulated mainly from the field of prevention. At the headquarters, Queen was received by the President of the foundation. During the meeting, the vice president and the president of the Economic Commission presented the Activities Report and the 2017 Economic Report. Later on, the president explained the follow-up of the Strategic Plan: organization and procedures, communication and contents, and the General Director explained the implementation of digital transformation and income diversification. Keeping her look low-key the Spanish Queen chose a simple chic outfit today. 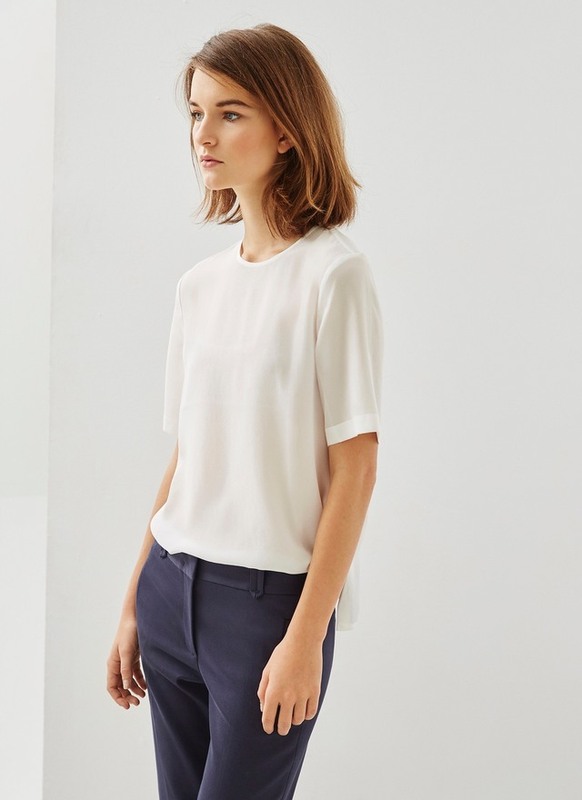 She wore a white blouse by Adolfo Domínguez that she debuted in last July. 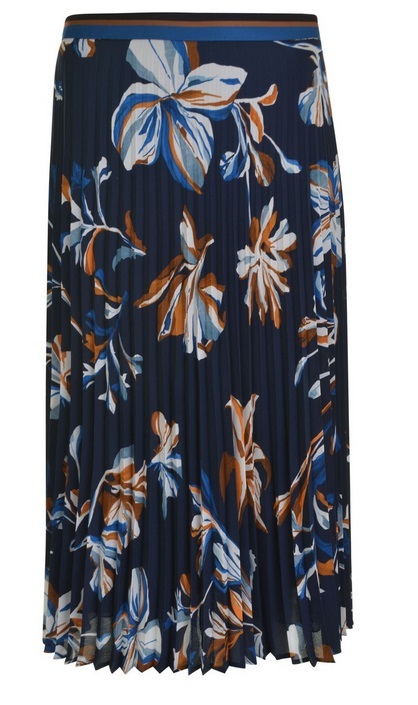 Letizia paired the top with Hugo Boss ‘Viplisa’ pleated skirt. 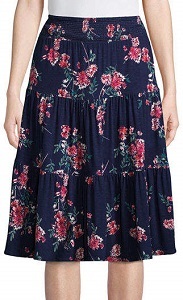 The blue floral skirt has a tropical style print on it and was premiered in November 2017 When King and Queen welcomed the President of Palestine to Royal Palace. 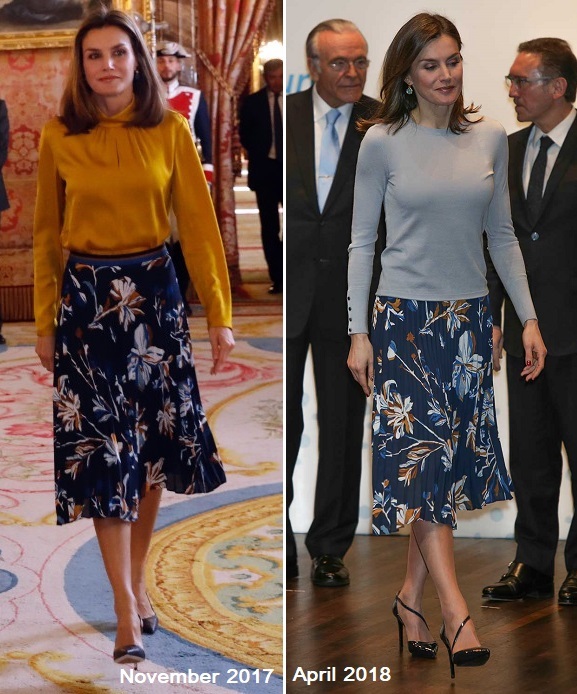 First time Letizia paired the skirt with a mustard top and then again this year in April at the La Caixa scholarships with a blue sweater. 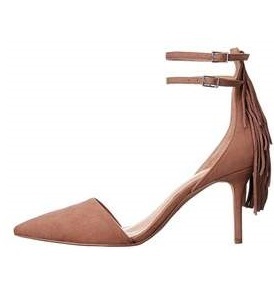 Letizia accessorized her look with Magrit’s cognac leather salons with crossed strips. Today we got the clear picture of the salons. 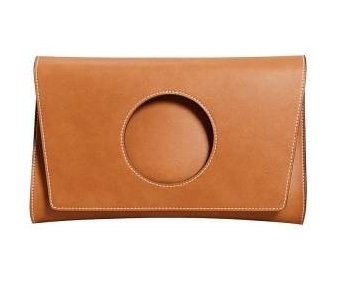 She was carrying Hugo Boss camel Staple C Calfskin Clutch. 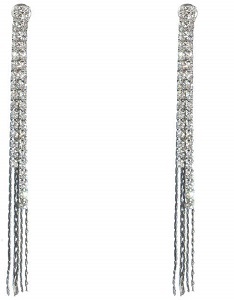 Letizia finished her look with TOUS long chain earrings that have been part of her wardrobe for a long time. 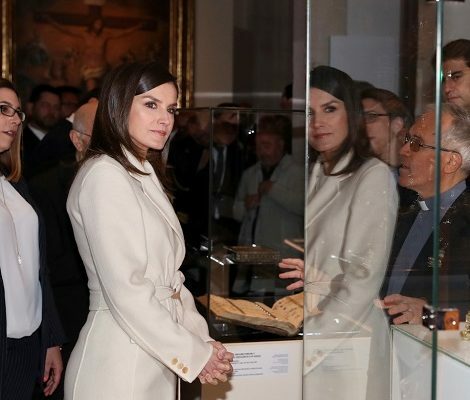 This week Queen Letizia will accompany King Felipe for an official visit to United States.The royal couple will land in America on 14th of June and start the engagements in New Orleans, Louisiana on 15th and 16th. The next stop will be San Antonio in Texas on 17th and 18th June. The Spanish royals will be officially received by American President Donald Trump and First Lady Melania Trump in Washington on 19th June.